Over the past two decades, global energy demand has created a large market, which has caused countries in the world to produce more energy to provide their infrastructure development and create profitable economic growth. Solar energy technology has gained global recognition and, in the end, has become the main engine in the energy markets of developed countries, spreading its potential in increasing their targets. The emergence of Blockchain technology can accelerate the penetration of the solar energy industry into the global energy industry. The combination idea of Blockchain and Solar Technologyvery relevant now. Technology enables us to conduct business operations efficiently, safely, openly and fairly, to build a network of reliable business partners and create prosperity in this country. The same must be true for most developing or developed countries. The Solarex smart microgrid , is an advanced decentralized energy distribution network that is efficient, cost-effective and is an environmentally responsible way to produce, store and distribute energy. Solarex smart microgrid will be well optimized for local energy distribution in real time. See the Microgrid Technical Paper to learn more about microgrid research and stimulation carried out by the Solarex team. small settlement to take energy distribution cakes in an area. is a separate segment and cannot affect operations in other grids. · There is no network power in remote locations. · Lack of security and reliability. · Lack of transparency and security in electricity transactions. · Environmental and Public Health; A big danger from polluting energy sources. · Unnecessary energy losses in a centralized network during transmission. · Market entry barriers both as producers and as consumers (for example, financing costs and arrangements). · Poor capacity utilization in critical areas. a) The absence of network power in remote and developing locations in Africa. b) Lack of security and reliability. c) Environmental and Public Health; A big danger from polluting energy sources. d) Lack of transparency and security in electricity transactions. e) Adaptability and resilience; regular power outages due to power failure. g) Unnecessary energy losses in a centralized network during transmission. i) Poor capacity utilization in critical areas. 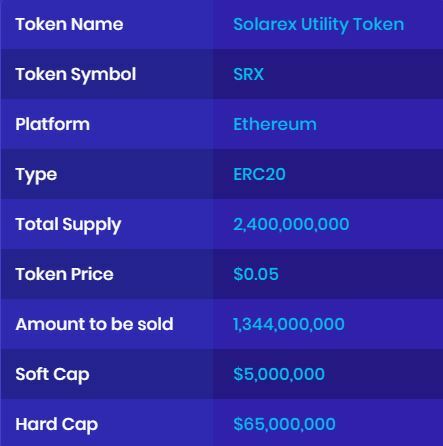 Solarex Tokens, are Utility Tokens, and in no way are security tokens or equity tokens. Score test Howey utility Solarex token = 20 , please see the result in the session document.